Twitter’s video service ‘Vine’ that was so far available only on mobile platforms will now be available on computers as well, as per the announcement made by Twitter. 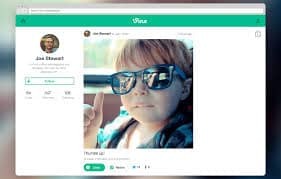 Vine users can now watch videos on the big screen of computers just the way they have seen them so far on their mobile screens. However, they will need to log in to view their home feed and like, comment and share videos in order to access Vine on computers. They can see videos shared by other users by browsing and can also share their profile with others. An exclusive feature added by Vine for the web is TV Mode. The TV Mode button is on the upper right corner of the profile. Users can watch the videos in full screen mode by clicking on that button.